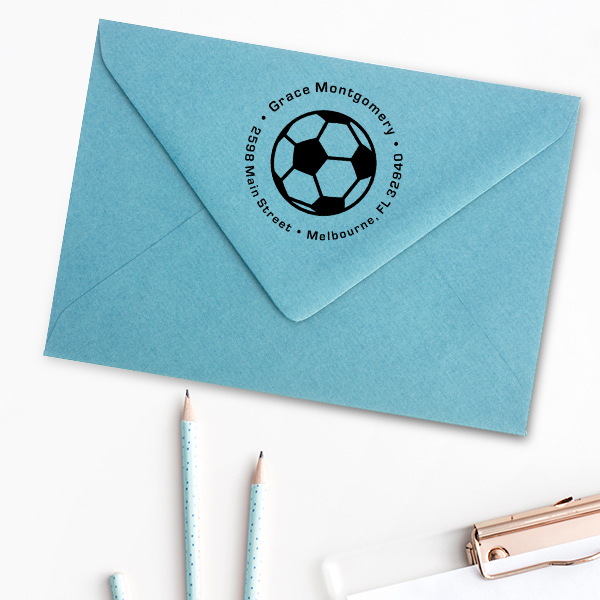 For the soccer Mom's out there, this Soccer Ball Return Address Stamp can be used by the whole family or can be personalized with your child's information on it. 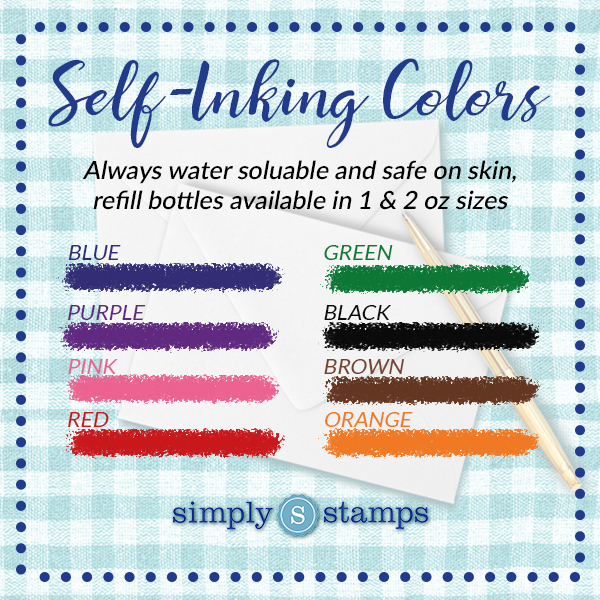 Great for mailing letters, cards or invitations to friends & family. Teach your kids to write invitations for their parties & stamp their address onto the envelope. 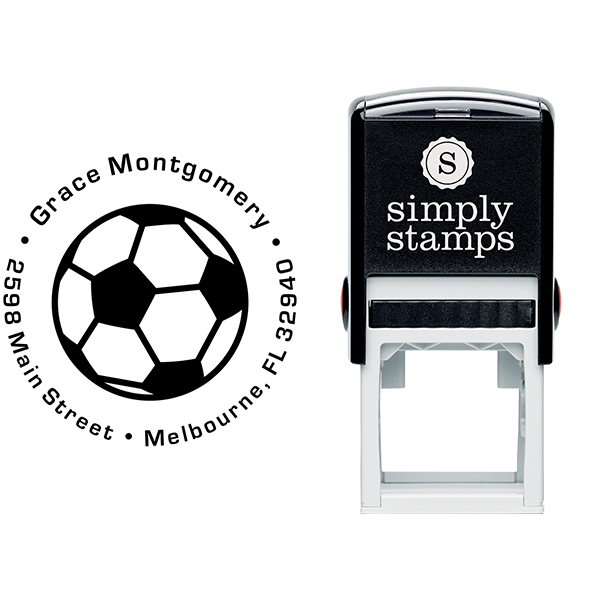 The Soccer Ball Return Address Stamp is the perfect stamp for an active individual but is particularly useful for teachers who instruct classrooms with younger individuals or teachers who instruct gym classes. It can also be a great addition to a personal stamp collection, as well. Show your kids or whoever is receiving your mail the great job that they’ve done, or that you like to spice your mail up with a little flair from the athletic department! The Soccer Ball Return Address Stamp features an accurately designed soccer ball in the center of the stamp, with a rotating series of information around the soccer ball which denotes the address. 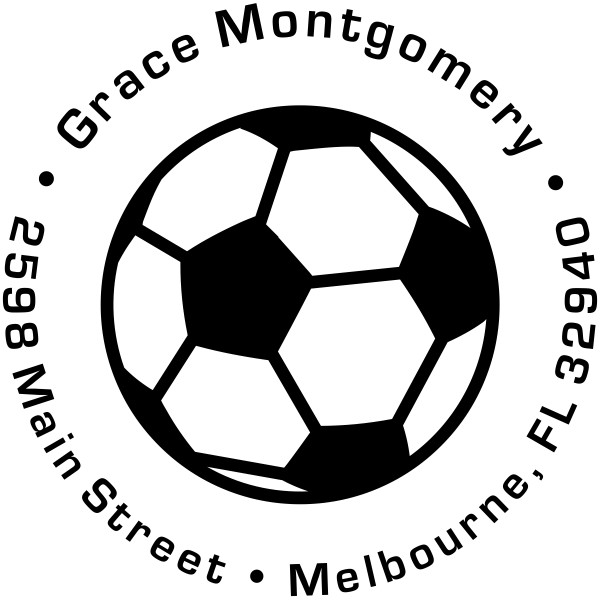 The Soccer Ball Return Address Stamp, apart from being uniquely designed, is also customizable in a variety of different ways such as color, stamp type, and size, and will certainly meet the specifications of any picky stamper’s needs! 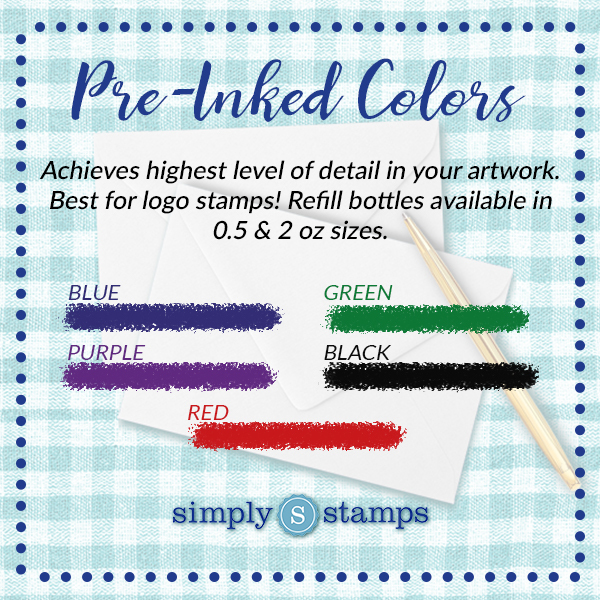 The Soccer Ball Return Address Stamp is an athletic way to add a touch of creativity to any envelope or paper, regardless of what environment you’re in or what you’re using it for, and is also a great addition to any veteran stamper’s stamp collection!